HAMILTON'S AMERICA is a long term record of the show, a filmed from two years before the first Opening Night until it's explosion on the Great White Way. 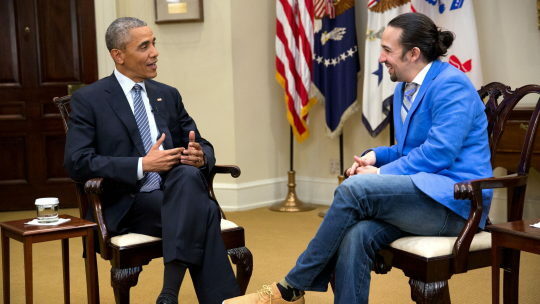 Its a weird biographical mix of the Hamilton the man and Hamilton the show as well as a look at the creative process of show creator Lin-Manuel Miranda. It's a film that sells both history and the show to a new audience. As biography of Hamilton the man it is quite good and it makes the man and his achievements something truly alive especially for people living in today's digital age. Using Lin-Manuel Miranda's music the film brings all that this founding father did seem relevant to a world 200 plus years on. While not the story of everything that Hamilton did, it's more than enough to explain why he was so important to the very being of America. Its a great starting place for a discussion of the founding of the country. The film is also loving portrait of what went into the making the musical that is going to be playing for decades to come. Since filming began when Miranda was only a couple of songs into the score the show gives us a general idea of how it was put together. We get to see how some choices were made and why the show is what it is, Its the perfect film for not only fans of the show but also for theater junkies who want to know how shows come together. One of to Broadway docs premiering at the New York Film Festival this year HAMILTON'S AMERICA is the better of the two film since here is a documentary that makes us care not only about the people involved but also the show itself. As good a the film is at relating the stories of both Hamilton and the show to it's audience the film unfortunately has one big problem in that it is ultimately an 84 minute film for the show. While there is no doubt that the film was started with the idea of being a promotional tool for the show the film seems especially geared geared to putting more butts in the seats of the show. I'm not begrudging the producers and Miranda from making a film that will sell their work, I am bothered by the fact that when the film was done I didn't feel like I had seen something that taught me something, instead I wanted to jump on line to see what year the next block of tickets was available. I'm sorry, as good as this film is I don't think a documentary should make my over riding desire be to pay five or six hundred dollars for show tickets. Say what you will that is just wrong. Crass commercialism aside, this is a very good documentary about a show, a founding father and my great (whatever) grandfather.